At the center of the Digital Transformation revolution is data: from customers who visit websites, comment on brands via social media, visit stores and use products; from products and services which are increasingly “connected” and provide direct insight into their use and health; and from people who communicate and collaborate with modern productivity tools and who maintain their profiles, skills and business connections on social platforms. This data from customers, products, and people is fuel for intelligence to power transformed experiences, with those experiences further providing data to further refine interactions. We call this the digital feedback loop. Dynamics 365 is built around this data and intelligence – unlocking these powerful insights and efficiencies for organizations everywhere. Our spring 2018 release for Microsoft Business Applications represents a continued innovation that is the result of that focus. 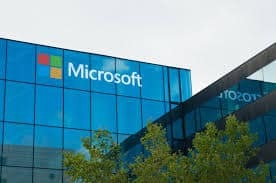 Microsoft is the only provider of a modern, unified and intelligence-infused business applications platform, built atop a common data model, on a global-scale public cloud, connected to Office 365 and the world’s largest professional network, LinkedIn. Dynamics 365 for Marketing : The new application complements the relationship and partnership Microsoft has with Adobe. It will allow users to connect sales and marketing, work seamlessly with Dynamics 365 for Sales and Office 365, utilize built-in business intelligence, nurture more sales-ready leads, and manage multi-channel campaigns. Dynamics 365 for Sales Professional: Another SKU of Dynamics 365 for Sales is being introduced, to streamline Sales Force Automation (SFA) for sales teams of any size. From opportunity management to sales planning and performance management, the solution enables to optimize sales processes and maximize sales productivity for enterprises. Microsoft unlocks Powerful Insights and Efficiencies for Organizations 0 out of 5 based on 0 ratings. 0 user reviews.